A successful affiliate program should account for at least 20% of overall sales regardless of the industry. In select industries with high commissions, the affiliate channel can account for 30% to 50% of your sales. Few people understand affiliate marketing in depth and even fewer people understand how different affiliate models add to the bottom line. 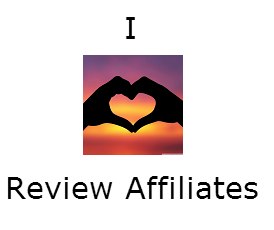 One of my favorite affiliate models is the review based website. Before I get into why I love the review model, I first want to explain how affiliate marketing works and why it has gone in the directions it has. Traditionally, affiliate marketing was driven on a last touch winner take all system. That means that if an end customer clicked on my affiliate link first and a coupon site’s affiliate link last, the coupon site would enjoy the entire commission for the sale. Clickstream based attribution employed by networks, such as ShareASale, have allowed merchants in recent years to share the wealth to all the affiliate that contributed to the sale. The end result of the overarching strategy is that successful affiliates chase the keywords people search for when they are close to making a purchase. The most important keywords in affiliate marketing are: best, top, review, buy, cheap, coupon, deals, discount, comparison, vs, etc. These keywords indicate the consumer is close to making their purchase. Conversion rates soar from .5% when you are trying to introduce someone to a new topic to 5%-20%. A review affiliate is more likely to write content intended to rank for keyword phrases with fewer than 1000 searches a month than a company will. This is simple economics of scale at play. An affiliate site is one person 9 times out of 10. If they can rank for a keyword or keyword phrase with relatively low search volume to gain another 10 conversions a month they frequently will because that amount of money matters to them. Many corporations are more big picture. They don’t want to focus on strategies or content that might generate another $1000 or $2000 a month in sales. They consider this trivial. On the other hand, an affiliate might say, if I can generate $1000 to $2000 in additional sales for a merchant with a 10% commission that is $1200 to $2400 a year towards my overall income. If merchants can’t or won’t try to rank for these keywords themselves, it is better to let the affiliate do it and share in the mutual bounty. A lot of myopic marketing people look at a review based affiliate and say that punk is riding on my coat tails for brand + review related searches. They would be absolutely right. What these people often ignore is that the good review affiliates also draw that same traffic from all of your competitors. They also generate substantial traffic related to model + review searches. These models are often sold on the other competitors sites. E.G. x merchant is 10% of a given industry. A knowledgeable review affiliate is pulling traffic from your 10% along with the other 90% of the industry. Your are benefited by working with the affiliate in the most productive manner possible because they can drive your competitors traffic to your site at the point when they are closest to making a purchase. You not only gain a conversion. You steal one from the grasp of your competitor. What could be better? The higher the cost of a purchase, the more likely the consumer is to search for reviews on both the product and retailer. This is just common sense. If you are buying a new pack of gum, you aren’t going to feel that badly if the flavor stinks or the merchant sold you a stale package. If you are spending several hundred or several thousand dollars, you are going to feel mightily burned if the product or purchasing experience stinks. Most people want to mitigate the risk by having others reassure them that they are making the right decision. Many merchants have horrible reviews when a search for site + review is conducted. Extortion schemes like Reseller Ratings and angry sites like Pissed Consumer, and Rip Off Repot abound. Many of the reviews on these sites only paint on side of the picture. Good review affiliates are also brand advocates capable of painting the other side. If a potential consumer conducts a review search and only sees a full page of 1 star reviews, there is a good chance you are going to lose the sale. If your skilled affiliate partners outrank these angrier sites and highlight why you are a good merchant, you will close the sale. At the end of the day, this is marketing 101. Unfortunately, a huge number of people at all levels in organizations don’t understand this simple fact. My suspicion is a lot of this ignorance comes down to ill informed greed. They can easily see on paper the 10% commission paid to the partner. It is harder to quantify the untold lost sales. Good review affiliates prepare the consumer for what to expect. They are likely to tout your strong suits most, but they will also reveal some of your warts. This process is important to help companies recognize better how they can improve. A skilled affiliate will outline the most important marketing points in your industry. If you get dinged on some of these points, determine how you can do a better job. Too many employees fall into a horrible pattern of group think and company worship. They are either unable to see the company’s flaws or incapable to discuss them with the team for fear of being accused of not having drunk enough kool-aid. If an affiliate points out the flaws, improvements can be made without making any employees into doubting outcasts.